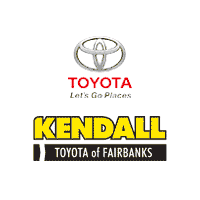 If you’re on the hunt for quality Toyota Parts, make Kendall Toyota of Fairbanks, serving Fairbanks, North Pole, College, AK and Fairbanks North Star County, your first and only stop. One thing we here at Kendall Toyota of Fairbanks pride ourselves on is helping D-I-Y drivers like you find the Toyota parts they need for their next automotive project. Whether it’s a component that goes under the hood or an accessory that will add a new level of functionality to your Toyota Camry, RAV4, Tundra, Tacoma or Highlander, we’re here to ensure you find the right part for your needs. If you’re ready to simplify the search for the parts you need, be sure to fill out our online order form. But before you do that, be sure to have a look at our Toyota part specials. Not only are we committed to helping you find the parts you need, but we also might be able to save you some money in the process. Meet Frank Sturdevant, Kendall Toyota of Fairbanks Auto Parts Manager. Frank brings to Kendall over 10 years of Auto Parts experience. Have questions about which part or accessory will work best for your vehicle? Let Frank and his professional team of Parts Specialists help guide you.